What years came with the speedo that starts at 10MPH? I have one 8/71 (71) and one 12/71 (72). Both start at zero. Hey... what a cool thread! My first car was a Rambler Ambassador 1965 880 that I inherited when my dad passed away. In 1973 it was already a rust bucket but I had fate and I bought a part car (a 990 paid 25$ CDN) and swap the 287 CI for a 327 CI with a holley 4 brls and did a body job. I had a lot of fun with it. I have an old pic of it. But my real first car that I bought was in '75. 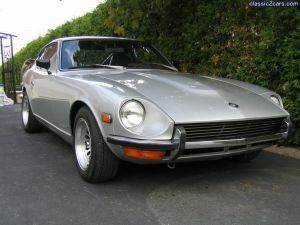 I had a choice between a '71 240Z with a lot of rust already (you know east of Mississipi and north of the border ...) or an apple green apple Ford Capri (made in Germany). Guest what, I choose the Capri. What an engine V6 with no weight on the back. I burned set of tires after one other but it was the most unreliable car I have ever owned. I had to fix about everything on it. God did I regret my choice. It took me almost 25 years to correct my mistake. Indeed a very nice looking car. 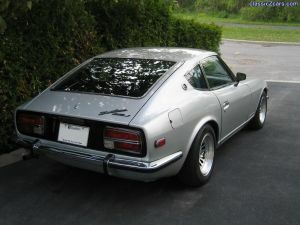 Just wondering why he installed the 240Z hatch logo at the wrong angle ?? Geee.... what is this mess around Z color !!!! All Z has its own personnality green, yellow, red or even silver. It makes the charm of these cars cause color changes it. Silver looks more classic I admit but it is still one of the sharp color for this car. Anyway I would'nt change mine for any other. Does someone knows if there is a power antenna in the market that is close to the original ? I've seen that HARADA is claiming that it does. I would like an antenna that operates the same way, e.g. the switch on the radio activate it up and down instead of automatic up and down when activating the radio. 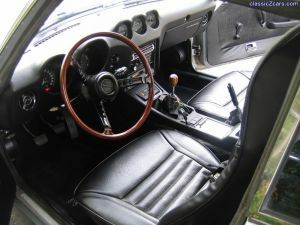 Does anybody has an idea of where I could find radio knobs for an early 240Z Hitachi am radio ? I am in the process of putting back the original radio in my '72. There is a fuse connector (blue wire) with the 2 white/white & black that I beleive are the speaker wires. The fuse connector is almost 3 inches long, could someone tell me what kind of fuse goes in there. I have one home but I still miss the rigth knob, but this is the early model, AM only with the power antenna on the side of the switch/vol button. Hey... pretty close I got a part car 7/71 #37142 have to go an take a look at the engine #. Matching numbers. Dark green with tan interior. I also have my '72 12/71 VIN: #58865 Engine # L24-074822 (matching #). 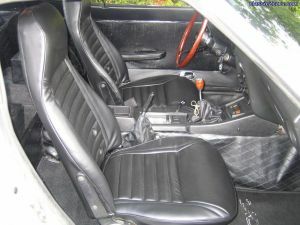 Silver 901 with black interior. Hey ! Salut. Est-ce que l'on s'est dÃ©jÃ rencontrÃ©. Es tu membre du Zoom club. Il y avait une belle rencontre de Z samedi passÃ©. Well... where is that Ever wind mirror comes from ? It was in the car when I bought it and I purchased the other one on Ebay.